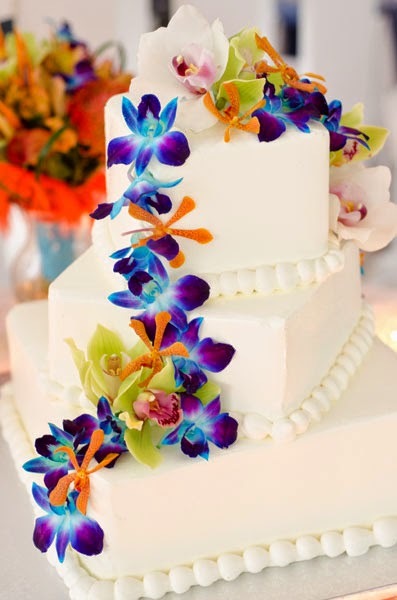 The cake is the showpiece of the wedding reception. Every bride wants her cake to be beautiful, delicious, and memorable. In the summer, there are a few special considerations that will help make sure your wedding cake is as perfect as you dream it will be. 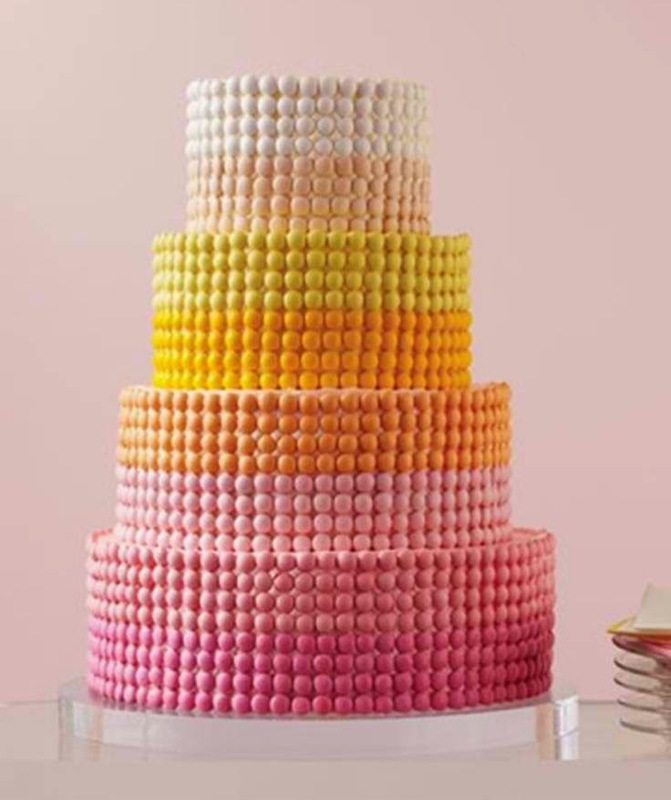 These are 5 tips for summer wedding cakes that every bride should know. One: Choose Your Frosting Wisely. For an outdoor wedding, it pays to be sensible in your frosting selection. 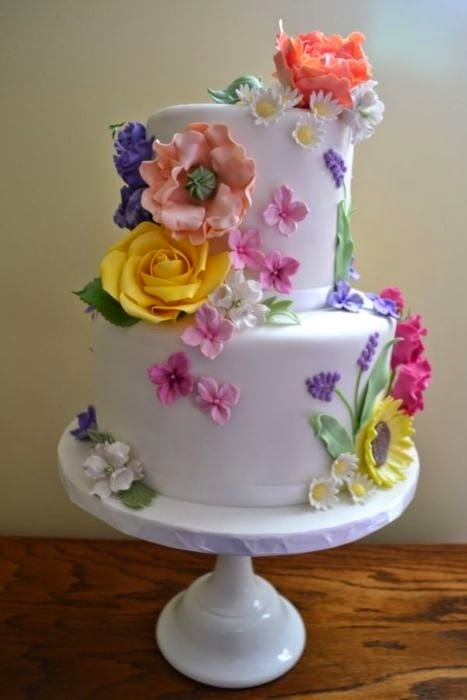 Fondant is the best choice for a cake on a hot summer day, because buttercream and whipped cream will melt and ruin the appearance of your wedding cake. To improve the flavor of fondant icing, ask your baker to apply a layer of buttercream frosting underneath. 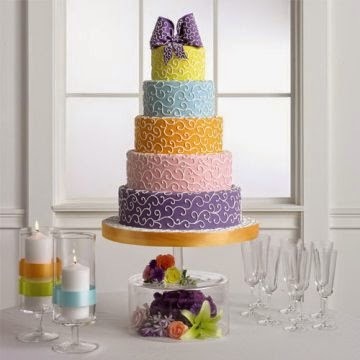 If you simply can't see yourself with a fondant wedding cake, have the caterer keep your cake refrigerated until about 30 minutes before the cake cutting ceremony. It can be rolled out on a decorated table for a grand presentation, and your frosting will be intact. Two: Protect Your Cake From Heat and Sun. Even a fondant wedding cake should not be exposed to direct sunlight. Always place the cake table in a sheltered location under a tent. Many people do not think about protecting the cake from sun for an indoor wedding, but the summer sun can come blazing in through big picture windows. 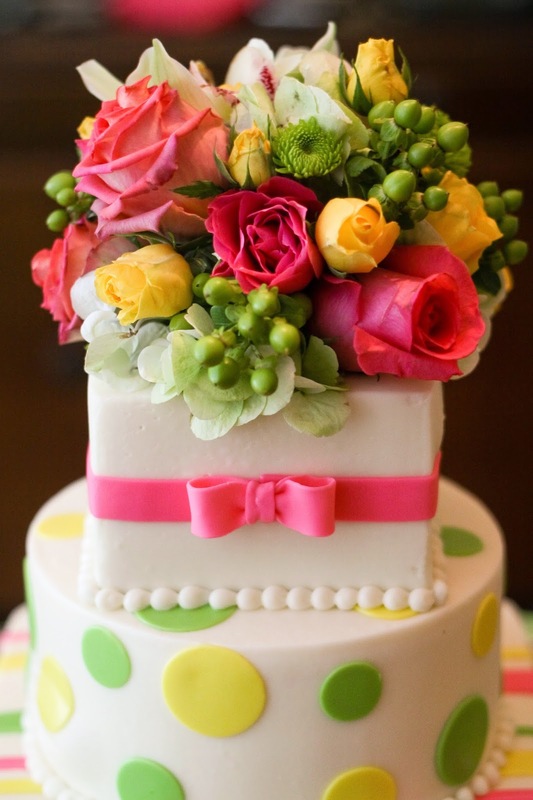 Request that your cake be displayed away from direct sunlight for any summer wedding, indoors or out. Three: Think Light. Rich chocolate cakes have become very popular in recent years, but lighter flavors will be best for a summer wedding. A sponge cake with lemon curd between the layers is a light and delicious option for a summer wedding dessert. Another great flavor is a scrumptious key lime cake with coconut frosting. If citrus is not your thing, a light angel food cake would be lovely. The light and airy cake may not hold up to the weight of multiple tiers, so consider displaying a trio of coordinating angel food cakes. It would be absolutely beautiful to frost each one in a different pastel shade. Four: Decorate Seasonally. If you are a classic June bride who adores pink roses and pearl bridal jewelry, decorate your wedding cake with fresh roses and a frosting pearl border to complement your bridal jewelry. For a beach wedding, choose a seaside motif such as beach chairs, shells, or an abstract wave design. Another great idea is to decorate your cake with fresh seasonal fruit like strawberries. 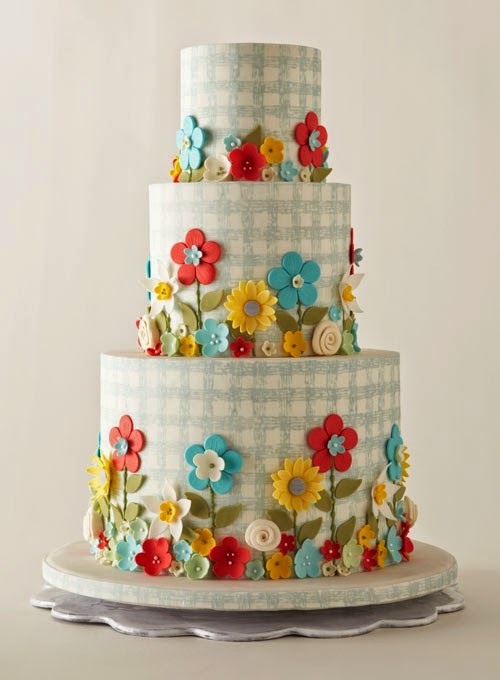 Designing a cake which suits the summer season will make it a wonderful addition to your wedding reception. Five: Consider Pies. This has been a fun emerging trend in recent years. For informal country style weddings, fresh fruit pies are becoming a popular alternative to a formal wedding cake. They are a great way to showcase the best flavors of summer like ripe peaches, juicy strawberries, and delicious blueberries. Fruit pies also handle the heat better than many more delicate cakes. Brides often opt to have an entire table which features a variety of pie flavors, rather than just choosing one variety. If you like the idea of pie, but still want a traditional wedding cake, take advantage of another hot wedding trend: the mini-pie wedding favor.